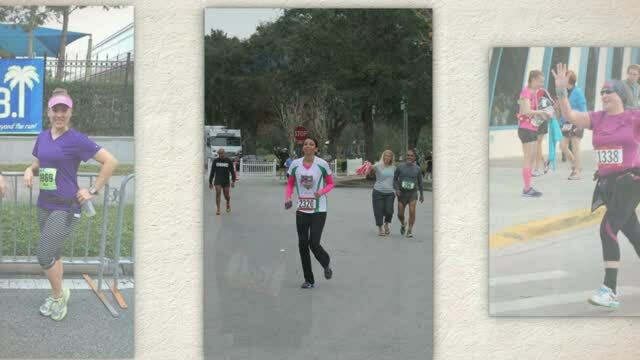 Central Florida Women Runners is a group dedicated to women runners. 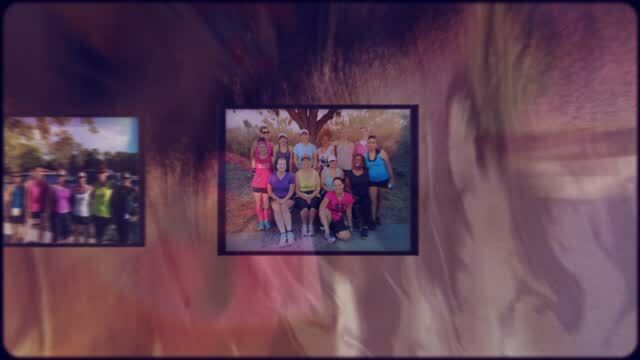 The mission or CFWR is to encourage all women to get out and get some exercise no matter what their pace or experience and provide social gatherings monthly such as Girls Nights and Meet & Greets. We have women at ALL levels and at ALL stages in life. We have moms with their jogging strollers and we have wiser women who have a range of running experiences to share with the group. So don't be shy! 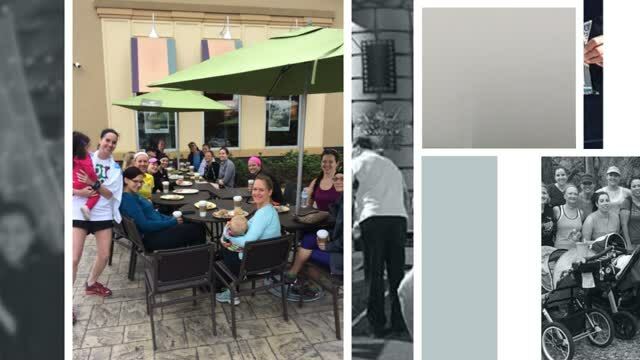 Come and run with us and be a part of the most fun and exciting women's running group in Central Florida. Runs are posted quarterly. There are runs every Saturday unless there is no one to host (but generally if Ann cannot host someone steps up to the plate). In the event of inclement weather the run will be cancelled an hour before the event time. In that case please watch Facebook, Meetup, your email, and the website for notifications. or check us out on Facebook, Twitter, and Instagram! What to Expect: All runners/walkers/woggers meet at the stated time in the even info. We have a quick intro to new friends, waivers, and cost are handled by the organizer. All runs are 45 minutes to an hour with a 5 minute warm up and a 5 minute cool down. We meet back at the same spot we started after the run and go for breakfast or coffee (never any pressure to stay for breakfast- we would love to catch you next time though) and get to know one another better.You can always expect a warm, friendly, supportive atmosphere with ladies who will be there to cheer you on no matter what your goal is. Meetups at various venues are followed up with socializing at the local coffee shop. Here we are able to get to know one another better and chat about -what else- running! Social events are also monthly with regularly scheduled Girl's Night! Girls nights vary from gathering for a glass of wine and hors d'oeuvres to free movies in the park. Lets face it- running with guys can provide eye candy. But sometimes it can be intimidating and uncomfortable. 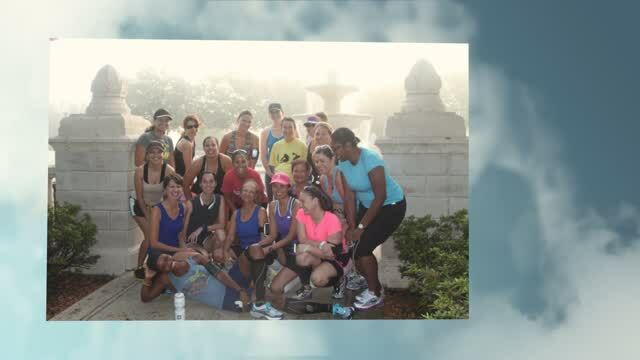 Central Florida Women Runners is a running group that should never be intimidating. Running with they guys can get daunting especially when they are WAY ahead of us. 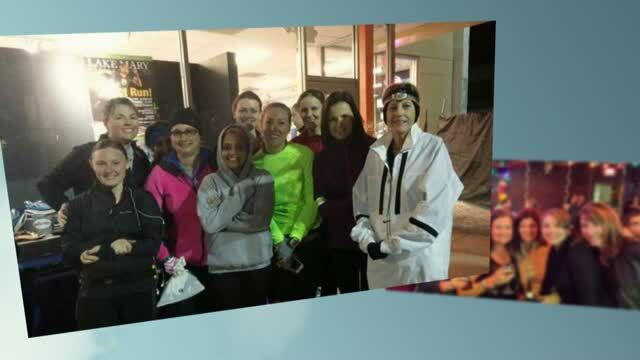 Running with women only provides a place where we can find someone at our own pace and level. It also provides safety in numbers and allows us to feel free to talk 'girl stuff' without being judged or being left behind. All events/runs are women only unless otherwise stated in the description. We love our guys, but if we compromise for one, then we must compromise for all (this pertains to hubbys, boyfriends, and brothers)- and that, in turn, can compromise the purpose of the group. Running with a buddy ensures safety for everyone no matter what venue at which we are running. We start out as a group and as we warm up we tend to separate a little bit- and that is ok. You don't have to run right next to your buddy, but do keep them in eye sight. And besides, running with a buddy passes the time, can help you run longer than you expected, and is fun! Currently we have a variety of courses that we like to frequent. Winter Park, The Seminole Wekiva Trail, Lake Mary, Lake Eola, Lake Underhill Park, Cranes Roost Park, Lake Baldwin, Cady Way Trail, Black Hammock Trail in Oviedo, and more. The venues are rotated to accommodate most of the female population of central Florida. A venue might be skipped in the rotation because of local events (Lake Eola has many). I am still looking for safe places to run in the west area of Orlando and/or Apopka. Safe is the key word. If you have suggestions please let us know. Many of these venues are out and back- or loops- so the distance is really up to you! The contributions go toward above mentioned costs, as well as water, first aid items, girls nights, fun prizes for fun runs, and other event needs. At most of the runs group and individual photos are taken. We take photos to commemorate each run and to advertise the group. Photos are posted on both meetup and facebook, and they are also put into a yearly scrapbook. You will not be tagged or named in any of the photos unless you wish to do so yourself. If you prefer not to be photographed, not a problem, just let Ann know at the runs.